We've got a big history. Be part of our future. 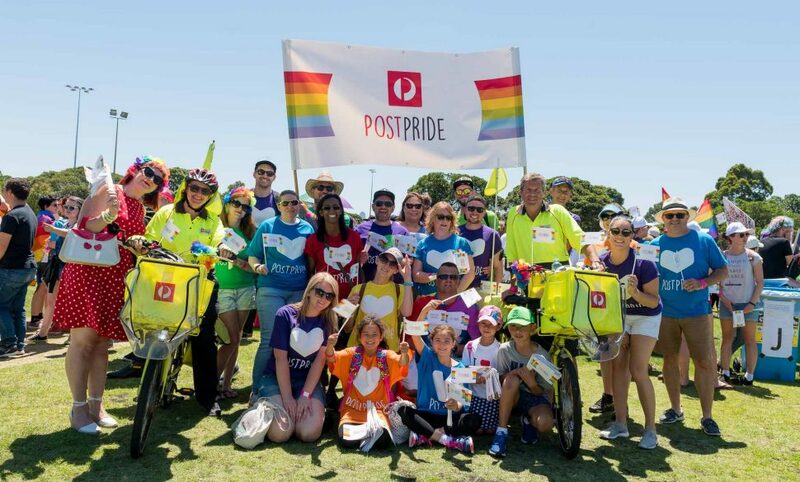 It’s an exciting time to be at Australia Post. As the world rapidly changes, we’ve had to change too – to ensure our future is even greater than our past. Be part of an iconic and dynamic organisation that touches the lives of every Australian. I think the diversity and inclusion is incredible. We have so much support here. …people coming from seven different countries. …and achieve some great outcomes. I think we have the most cutting-edge technologies. …to be part of certain programs. …it makes it more worthwhile. …and have various careers across various parts of our business. We have an immensely beautiful story. It’s a very exciting time to be here. Are you a techy at heart? Our Technology Academy is a 2-year program where you’re paid to learn and become part of our future digital workforce. Why choose a career at Australia Post? On top of the satisfaction you’ll get from being able to impact the lives of everyone in your community, there are some unique additional benefits that ensure we attract the best talent. We believe that investing in the development of our staff is good for business, and offer dedicated career coaching and support for Award staff, plus development programs across the organisation. You’ll also benefit from discounts on premium memberships for personal and professional development and even on laptops, PCs and phones. The safety and wellbeing of our employees is our #1 priority. As well as our practices and training inside the workplace, we have generous paid primary carer leave policies, and the ability to purchase extra annual leave (1-4 weeks, AP only), to ensure you have a good work-life balance. We also offer benefits such as discounts on health insurance, gym memberships and more. We play a significant role in the community – not only through our services, but our support of various organisations and events; from the Big Issue and Midsumma, to sports and technology startups. And we encourage our staff to do the same, offering programs around workplace giving and volunteering, blood donations and recycling. We believe a diverse and inclusive working environment builds stronger relationships and employee confidence – and also ensures our business performs at its best. This includes supporting gender equality, Aboriginal and Torres Strait Islander employment, cultural and language diversity, LGBTI+ inclusion and people with a disability. Learn more about our various programs and policies in this area.